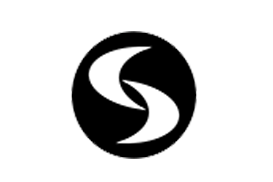 The Sickle Cell Community Consortium is a collaborative effort between Credentialed Community-Based Organizations (CBOs), Sponsored Patient Organizations, Patient and Caregiver Advocates and Community Partners. For more about Credentialing, visit our CBO Credentialing page. Launched in May 2014, Sickle Cell Alliance Foundation is a passionate non-profit, community-based organization. It is committed to being a valuable resource to guide and help families and patients- children, teens and adults- living with the life-threatening sickle cell disease. Our goal is to ensure the appropriate programs and needed resources are available and offered to the patient and caregiver(s). To bring awareness of Sickle Cell in all its forms including, but not limited to Sickle Cell Anemia, Sickle Cell Trait and Sickle Beta Thalassemia . We achieve this by raising funds through various avenues such as Benefit Concerts, Charity Galas, Health Fairs and our Sickle Cell Awareness themed Clothing Line. Through these efforts we will be creating a better quality of life for carriers or those that are affected in anyway by the disease, ensuring them they are not alone in this daily fight, and advocate to those that are unaware so they learn of the pain associated with Sickle Cell Disease and what it can potentially bring. The Sickle Cell Foundation of Tennessee(SCFT) is a 501(c) 3 non-profit organization founded in 2008, by the late Dr. Trevor K. Thompson and Cherry N. Whitehead-Thompson. As an educator( Administrator with Memphis City Schools) and sickle cell disease consumer, Dr. Thompson championed the call for advocacy, educational support and social services for citizens impacted by sickle cell disease in Memphis, across the state of Tennessee, and the region of north Mississippi and eastern Arkansas. His efforts have enabled SCFT to provide educational awareness, through direct contact, via television, radio, print, and social media to more than 1,000,000 citizen across the Mid-South area. Our mission is to provide educational awareness, comprehensive social services and collective supportive impact to all person affected by Sickle Cell Disease within our service areas. The Mission of Kids Conquering Sickle Cell Disease Foundation, Inc., is to dedicate with compassion to provide education, awareness, advocacy and outreach to improve the quality of life for individuals and families living with sickle cell disease and other hemoglobin disorders. Advancing Sickle Cell Advocacy Project Inc. Advancing Sickle Cell Advocacy Project Inc. (ASAP) was formed in Spring of 2015 for the purpose of advocating, educating and improving the quality of life and health services for individuals living with Sickle Cell Disease (SCD), their families and networks of caregivers affected by sickle cell disease and related conditions, while advocating ongoing research for a cure for SCD. 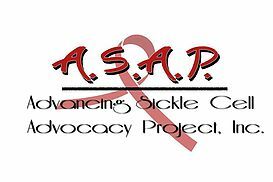 ASAP provides services to the Sickle Cell community in the form of support groups for patient and caregiver, as well as organizing and conducting focus groups to assess community needs and wants in reference to medical care and education. ASAP orchestrates forums, seminars and events for the edification of the SCD and the medical communities at large.The targeted population of ASAP’s efforts is the Sickle Cell community consisting of the patient and their family. ASAP provides services in Miami ­Dade, Broward, and Palm Beach Counties in South Florida. We are a health literacy NPO started by parents of a child with Sickle Cell Disease (SCD). Based in Denver, CO, we also provide international access to research based medical education materials. Our mission to bridge the gap between providers and the lay community through research based health literacy tools and programs. It is our mission to support, educate and empower warriors and their families through hosting events, visiting warriors and telling their stories. #BoldLipsForSickleCell is a 501 C3 non profit organization geared towards spreading Sickle Cell awareness and empowering individuals who has the illness. They have become a fresh and relevant movement, intended to put a bold and flattering spotlight on this disease and its community. We plan to continue to building a network of supporters and allies who will help make this disease as well-known and positively endorsed as the likes of breast cancer and other high profile diseases. 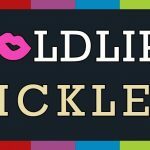 The mission of #boldlipsforsicklecell to educate and raise awareness for sickle cell disease through its advocates wearing bold lipstick colors. They are making a loud and boisterous statement which in turn gains attention along with conversations being sparked. They want to infiltrate surrounding communities by hosting events that are geared towards educating and building awareness for SCD. The International Association of Sickle Cell Nurses and Physician Assistants (IASCNAPA) is one of a few organizations composed of nurses, physician assistants, social workers, and other health care professionals dedicated to the care and health outcomes of individuals with sickle cell disease. 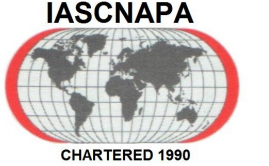 The association was established in 1990, and at present, has approximately 350 members worldwide. IASCNAPA recognizes its responsibility to maintain high standards in the provision of quality and accessible health care services for individuals with sickle cell disease. IASCNAPA is committed to strengthening the relationship between nurses and physician assistants who care for patients with sickle cell disease. The majority of IASCNAPA members are nurses and these individuals serve the sickle cell community in numerous ways to include everything from bedside nurses to academia. One of our major goals is to use the knowledge and experience acquired as professionals working with patients living with sickle cell to contribute to improved community awareness of the needs of individuals with sickle cell disease and their families. We have members across the US and in other countries. Our most recent activities included coordinating sessions at the Sickle Cell Disease Association of America national conference in Baltimore, MD where we recruited speakers and helped to moderate the sessions that were focused on interdisciplinary collaboration in sickle cell disease management. IASCNAPA also co-sponsored a sickle cell awareness walk in Raleigh, North Carolina along with a new sickle cell foundation started by an individual living with sickle cell. We are engaged in the sickle cell community and are committed to educating health care providers as well as individuals and families living with sickle cell disease about this lifelong disease. The Support Group addresses the psychosocial/ nutritional issues in coping with Sickle Cell Disease. Supporters of Families with Sickle Cell Disease, Inc.
Supporter’s mission is to increase self-efficacy, improve the overall quality of life for patients living with sickle cell and thalassemia, children, adults, and their families within the State of Oklahoma; through systemic changes in patient care, disability policies, education, family support, economic self-sufficiency, awareness, and advocacy. To increase the education, awareness, and advocacy of sickle cell disease/trait in Oklahoma and highlight the challenges and impact to individuals, families, and communities living with sickle cell/thalassemia disease/trait. Decrease sickle cell disease in Oklahoma through community education, testing awareness, and advocacy. 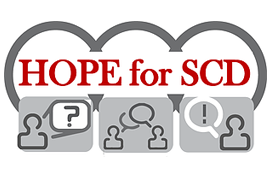 Equip individuals, families, and the Oklahoma community agencies with training needed to support, advocate, and educate others on behalf of those affected by sickle cell/thalassemia disease/ trait. 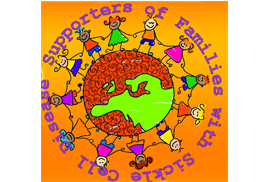 A place for moms with children with SC or mothers with SC or mothers with SC who are actively trying to conceive. Judgement free zone where we can talk and share about the victories and achievements and sometimes pitfalls of our type of motherhood. To educate and increase awareness of sickle cell trait while encouraging youth to achieve their dreams in the face of life’s challenges. possibly encounter within their lives. We strive to be an effective voice, for the SCD patient, family member and male community. The program (“Champions Mentoring”) was created and implemented to ensure that we place focus on the empowerment, motivation and overall growth of adolescent males living with SCD. Our mission is to encourage growth,development and change while promoting hope and faith in God’s word. To be a light in darkness, a voice in the wilderness. Journey’s by Grace is a mission of compassion, a non-profit organization in which the organization is committed and focused to address the social and spiritual need of the community. JBG works actively with groups and organizations to gain funding, collaborations, knowledge, resources and support for the people. Our mission is to share experience and knowledge to help others on their journey of life. through Advocacy, Education, Research and Legislation. Dedicated to health promotion and disease prevention in children, adolescents, adults and their families diagnosed with sickle cell disease. Their mission is to improve the nutritional and mental health of the public and those diagnosed with sickle cell disease. We achieve this mission through education (our Annual SCD Educational Seminar; our upcoming Provider Inservice Training program), research, and public awareness initiatives and community outreach programs (i.e., our Canvassing program that educates the public). We practice the science of helping people make changes in their lifestyle to improve their overall health and quality of life emotionally, physically, and spiritually. We assist those served to achieve a better quality of life. Sickle Cell Disease services are provided to patients, their families and the public: case management, patient assistance, education, screening, hemoglobinopathy counseling, referrals and follow-up. The Community Relations services improve and create channels of communication between individuals and entities – governmental bodies, agencies and organizations-which govern or serve them. 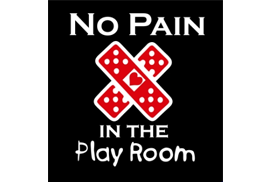 It is our mission to serve as an advocate for adults and children in the Northern Virginia area. 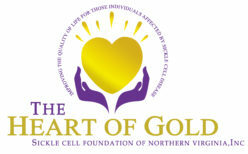 Heart of Gold Foundation is structures to educate, mentor, and support those that battle with Sickle Cell Disease. Lockhart Morgan Foundation is Atlanta Based organization which is focused on bringing awareness to our community, providing assistance to families in need and providing scholarships for Sickle Cell Students continuing their education. We provide numerous services to children, adults and families in Central Texas, San Antonio, the Texas Gulf Coast, and other affected with sickle cell disease and those carrying sickle cell trait. We provide education, research awareness, outreach, support group meetings, assistance and numerous other services. Martin Center, Inc. is a human services agency founded in 1969 by the late Rev. Boniface Hardin, O.S.B., and Dr. Raymond Pierce. Martin Center has remained dedicated to providing a “holistic approach” to clients battling the effects of Sickle Cell in our community for over 40 years. Martin Center assumed the name Martin Center Sickle Cell Initiative (MCSCI) in September 2012 in order to have its name more directly reflect its mission. 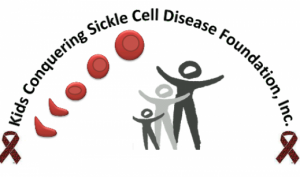 Martin Center Sickle Cell Initiative exists to aid and enhance the lives of those affected by Sickle Cell and associated disorders by providing services, education, and advocacy. We are committed to providing essential programs and services to benefit individuals and families affected by Sickle Cell. We also educate clients as well as community members by providing access to quality educational experiences. MCSCI works with educators, medical professionals, schools and caregivers in the provision of our services and we strive to build public awareness about Sickle Cell Disease, Sickle Cell Trait and other abnormal hemoglobin conditions that primarily impact African-Americans, Arabs, Asians and Latinos. Building public awareness of Sickle Cell Disease, Sickle Cell Trait and associated disorders is necessary in the fight against Sickle Cell. 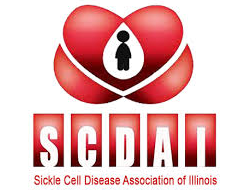 Sickle Cell Disease Association of Illinois’ (SCDAI) primary mission is to enhance the quality of life for individuals with sickle cell disease and their families. To effectively achieve this goal, SCDAI acts as an advocate for improved healthcare and services for sickle cell patients by educating and informing the community through outreach and educational programs. Since incorporation, SCSS has provided supportive assistance and services to over hundreds of families affected by Sickle Cell Anemia Disease. In 2008, they launched Sickle Cell Enrichment Camp for children who were born with Sickle Cell Disease ages 7-16. They have been successful to establish community partnerships and collaborations with organizations such as UAMS LIVING Well with Sickle Cell, Little Rock Alumnae Chapter of Delta Sigma Theta, Arkansas Children’s Hospital, Arkansas Minority Health and several other organizations. In 2009, their founder and CEO was appointed as Chairperson of the Legislative Taskforce on Sickle Cell Disease. This successful process led to the sickle cell bill passed to support an adult clinic in the state of Arkansas. Their organization continues to advocate, support, provide and help individuals and families impacted by sickle cell anemia disease throughout the state of Arkansas. Serving as Houston’s leading sickle cell community based organization and coordination center, we provide various services aimed at achieving healthier outcomes for individuals living with theinheired rare genetic disorder known as sickle cell anemia. Sickle Cell Houston is staffed with certified genetics education counselors in the area of sickle cell disease providing an unmatched level of support and service for the sickle cell population. 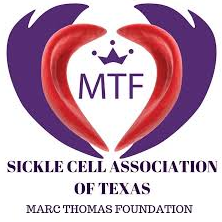 It is our commitment to the Greater Houston Metropolitan area for those living with sickle cell disease, that we hold ourselves accountable by proving programming that assures all persons living with sickle cell disease, can indeed live without limits. 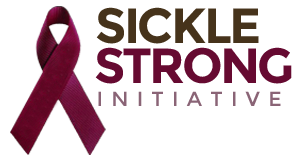 The vision of the Sickle International Family Coalition (SIFC) is to work with families affected by Sickle Cell Disease and Sickle Cell Trait worldwide to reduce the burden of living with these chronic conditions that show no outward symptoms. A non-governmental organization registered in Kisumu, Kenya. Its mandate is to raise awareness around the control and management of Sickle cell disease and advocate for better health care options for patients suffering the disease. Sickle Cell Warrior’s Inc., is a non-profit charitable organization dedicated to education, empowerment, and awareness about sickle cell disease. Our mission is to inspire those affected by sickle cell. As of this minute, you are no longer alone. You have us- and we have you. Welcome to the family. 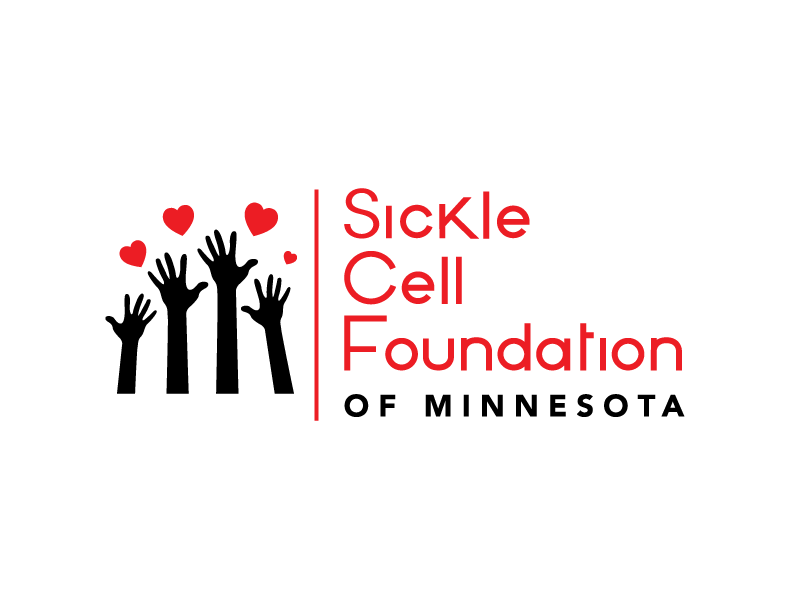 The Mission of The Sickle Cell Foundation of Minnesota is to improve the quality of life for individuals and communities in Minnesota who are affected by sickle cell disease and sickle cell trait. SCFMN is the only active community-based organization that exists to create education, awareness, and support for the Minnesota sickle cell community. We are passionately dedicated to carrying out this work through education, activities, programs and approaches that provide life skills and patient advocacy for equitable and affordable access to health care that improves life for today’s generation and those to come.